Saturday and evenings by appointment. At Environmental Door, we pride ourselves on providing unequalled service to our customers. After more than 40 years in the business, we can say our reputation is: “Knowing all the ins and outs of garage doors!” Whether your need is for residential, commercial, industrial or agricultural, call us at 616-453-0164 today. 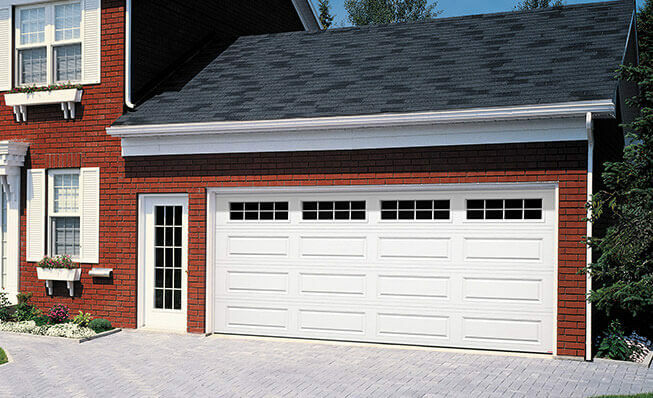 Want to buy a garage door in Muskegon, MI? Muskegon is the largest populated city on the eastern shores of Lake Michigan. Like many cities in this area, there is many Colonial and Georgian homes, and we have a garage door that matches with every style. If you want to change your garage door, look at our image gallery, there are over 80 images to view. Because we all know that emergencies always show up when we are not looking for them, we wanted to offer an emergency service to our customer so that we can guaranty a service when they need us. Call us at 616-453-0164 or complete our online form if your garage door is broken. We service Muskegon and surrounding areas. Did you say garage door parts? More than just selling garage doors, we are also specialized in maintaining and repairing those. If you want to add decorative accessories to your garage door or if you need to find a replacement part, contact us at Environmental Door. Are you instead of looking for a garage door installation in Muskegon? Our team of installers provide this kind of service too. To match your Colonial or Georgian home style, we suggest you choose a Garaga Standard+ or Acadia type of door. These garage doors offer plenty of designs and colors. It is easy to find the one that will give some curb appeal to your house. Why do you not take a look at our design centre? You could create your dream garage door! We know that you want the best for your garage door, this is why at Environmental Door we are a proud supplier of LiftMaster garage door openers. We offer chain drive, belt drive and jackshaft models in a various range of prices and features to meet your needs. No matter if your need is for residential or commercial application, we have the door opener that suits your garage doors in Muskegon! Angell, Beachwood‑Bluffton, Campbell Field, East Muskegon, Glenside, Jackson Hill, Lakeside, Marquette, Marsh Field, McLaughlin, Nelson, Nims, Oakview, Sheldon Park and Steele.